PTI chairman Imran Khan will appear before the National Accountability Bureau today in connection with an ongoing investigation on helicopter misuse of Khyber Pakhtunkhwa government. NAB has sent the notice to Imran Khan to appear before NAB Khyber Pakhtunkhwa office last week. He will be inquired about the helicopter misuse. 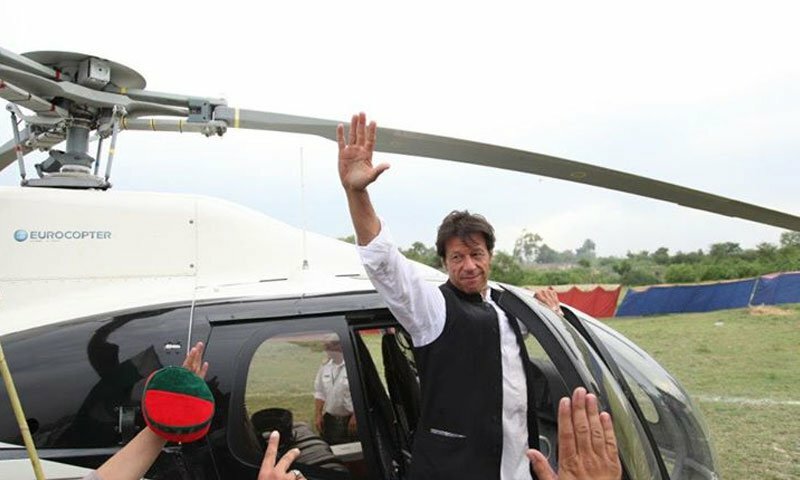 Imran Khan has been accused for using KPK government’s helicopters for private visits. Imran Khan is charged of illegal usage of Mi-17 and an Ecureuil helicopter belonging to the KP government for a total of 74 hours. This action caused an approximate loss of PKR 2.1 million to the government. Earlier on 29 January 2018, the former KPK government spent millions of rupees on Imran Khan’s use of the provincial government’s helicopters. NAB chairman Justice (Retired) Javed Iqbal in February directed NAB to launch an investigation against the PTI chief Imran Khan and former KPK chief minister Pervez Khattak over unauthorized use of two provincial government helicopters. Pervez Khattak has already appeared before NAB investigating team in the past regarding the helicopter misuse case.